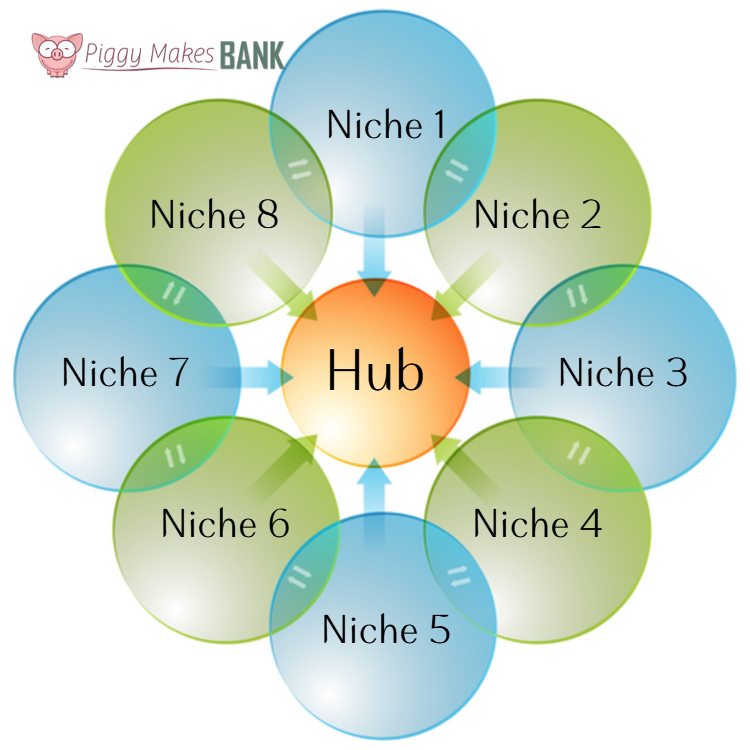 >> Should You Have A Hub For Your Various Niche Sites? Should You Have A Hub For Your Various Niche Sites? I write on several different blogs and I try to stay niche specific when I write. I am toying with the idea of turning one of my websites/blogs into a hub type blog that I “curate” myself. I was thinking of running a portion of each blog from multiple sites on one hub. My niche topics include business, marketing, website design, relationships, romance, gift giving, chocolate, motivation, lifestyle design, inspiration, teenagers, and travel. I am seeing more and more multi-topic blogs especially those that are “hot” on Pinterest. So I am curious if this seems like a good or bad idea to you two? 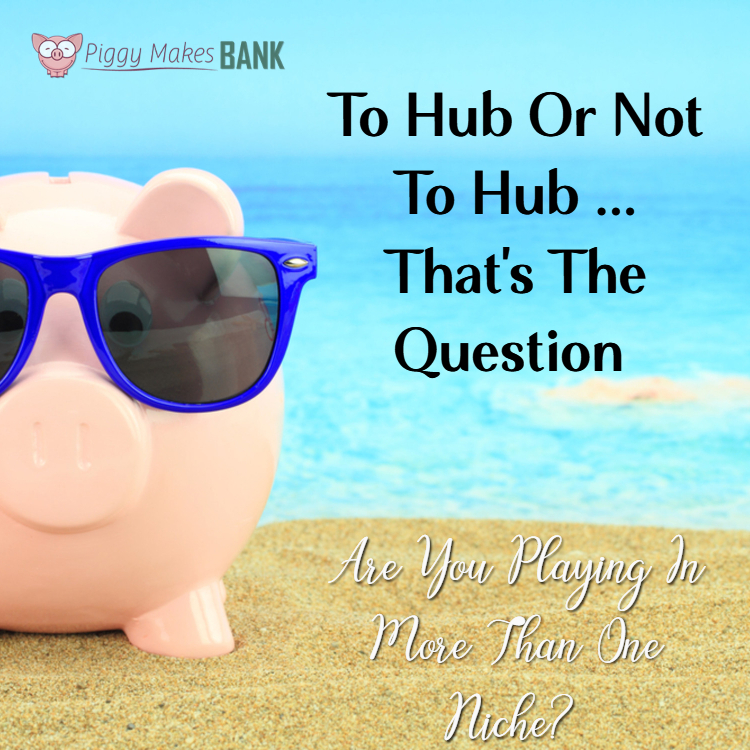 Let's start by saying that there's no right or wrong answer when it comes to creating a hub or keeping the different niches separate. There are valid reasons for each approach. At the end of the day it's figuring out what makes most sense for you. With that said, we think that it can be quite beneficial to have a hub and introduce your audiences to everything you do online. The biggest benefit of a hub site is that it gives you one spot to direct people to who are interested in everything you do. It makes social media marketing a lot simpler because you have one main site to focus on when you're filling out profiles. People come across your main hub and then are free to browse and see where else they want to follow you. Having this one big site can also help you build authority. The site will grow quickly and should have a lot of posts and pages that link out and link back into the hub site. Mix it up by having some original “hub only” content in addition to the content curation you mentioned. To answer your question specifically, we like the idea of a hub page that curates the content from the other blogs. It will make it easy for people to find you and everything you do. We wouldn't stop there though. Whenever and wherever applicable, don't be afraid to cross promote directly from the sits. For example, when you talk about marketing your business online, you may mention that you need a well-designed and maintained website. That gives you a natural segue to your web design site (should it be a different one). Relationships, romance, gift giving, chocolate, and even teenagers have a lot of natural overlap. You could also intentionally make connections by blogging about productivity tips when traveling for business for example. Some of this overlap content could live on your Hub page, or you could create posts on one of the blogs that also link to content on the other blog. Not all sites have to have overlap and interlink, but they all share the connection to the hub. Here's an illustration of what we're talking about. Think of it as a mental image to keep in the back of your mind as you build out your network of sites going forward. All that being said, there are some cases in which it makes sense to keep your niche sites separate. We don't think any of these apply in Kim's scenario, but wanted to make you aware of them. If you're planning on selling one or more niche sites in the near future, you may not want them to be part of your personal brand and your network. It would make breaking things apart at the time of sale more work. If you are playing in niches that are very opposed, and where one target audience may be offended by the content on a different niche site, it would be best to keep them completely separate and possibly use different pen names for each niche. If you're going into a completely new niche and business model that you don't know much about, you may choose to keep it apart from the rest until you get your feet wet. For example, Susanne has been toying with the idea of writing fiction and would do so under a pen name. Overall there aren't a whole lot of reasons why you wouldn't create a hub page and let your readers know about everything you do online. Whenever we do, we are pleasantly surprised by how much overlap there is. For example, Internet Marketing and Frugal Homemaking don't seem to have too much in common at first glance, but when we started to connect our sites in both niches, we had plenty of readers who enjoyed both. The readers who were only interested in homemaking, stayed on those sites, but the ones who were also interested in making a little extra cash from home, came over to PMB with us. Last but not least, don't forget that just about anything can be undone. You can share what you're doing across multiple niches and set up a Hub site, and then take some of the properties out of the “loop” when you sell them or even when you find that it is confusing to your potential customers. The bottom line is this… the more you share and cross promote the bigger the chances of people finding what they need. That's always a good thing in our book. We say go for it and get that hub page up and running. This post was inspired by the idea of Topic Tables at Beach Camp – an annual conference for women in Daytona Beach. We'd love to meet you in person at the next one. Or head on over to Exposure & Profit in Atlanta (E&P is co-ed). What Could You Get Done If You Didn’t Have To Blog For An Entire Month?